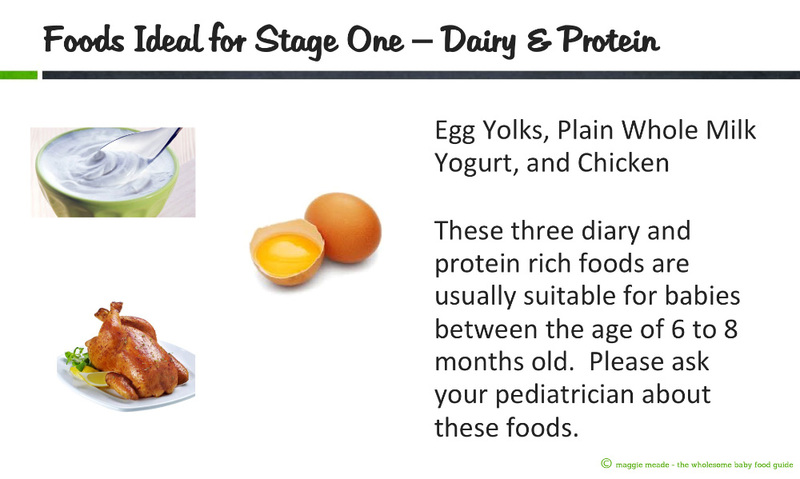 Here are a few great choices for nutritious and tasty starter foods for your baby. 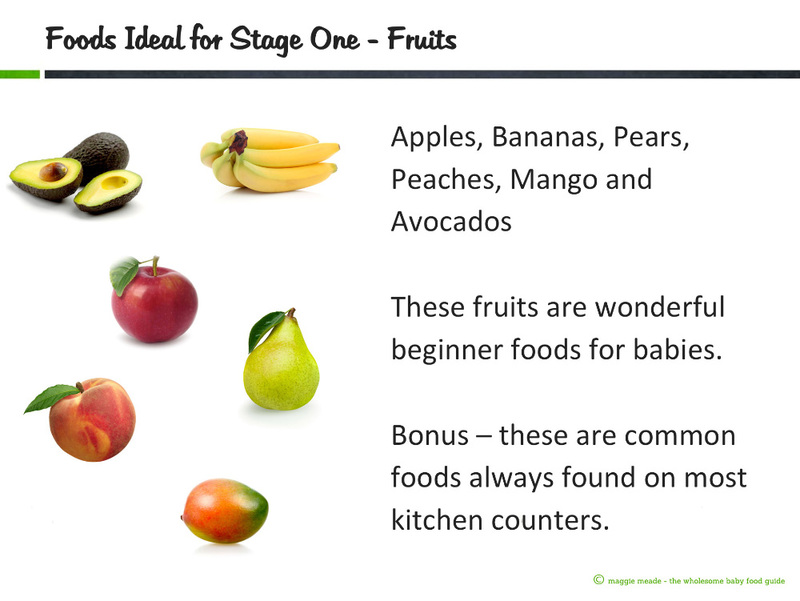 Why are these fruits good first food choices for babies? 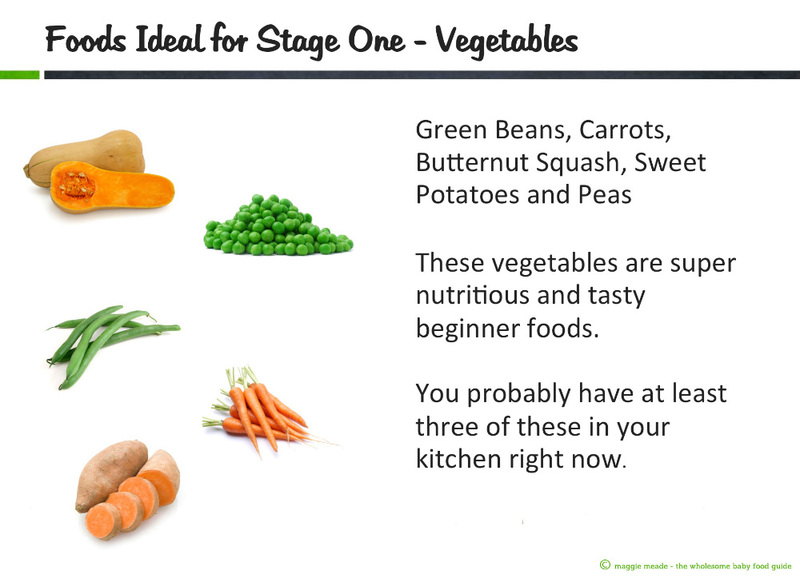 Why are these veggies good first veggie choices for babies? 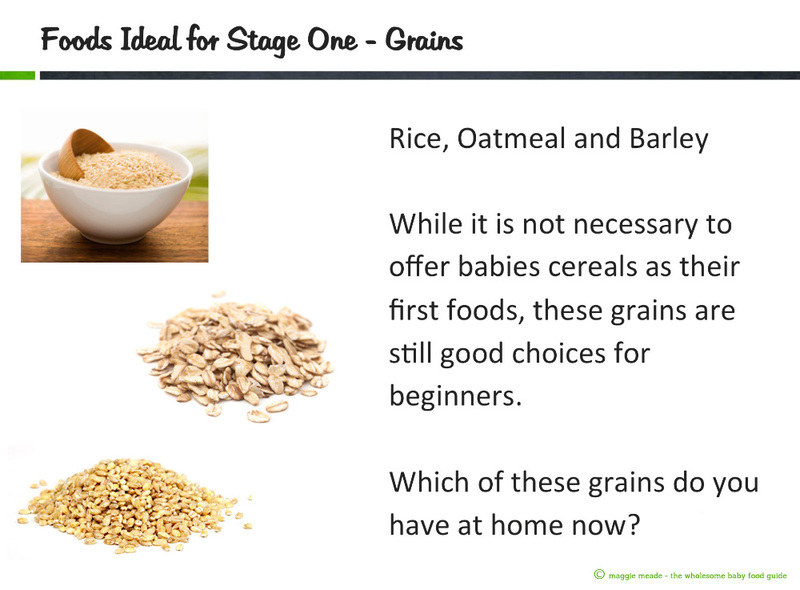 Why are these grains good first cereal choices for babies? Rice and oats are two grains that are traditional starter foods for babies.These grains are not highly allergenic and are relatively easy to digest. Brown rice and steel cut oats may be easily made into “baby cereal” and these offer the most nutrients. Choosing which food to start your baby on is one of the fun aspects of beginning solid foods. 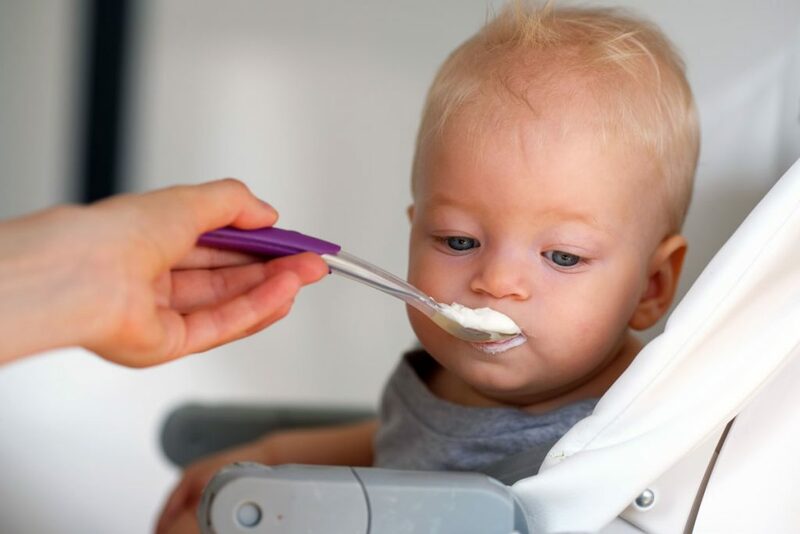 According to the American Academy of Pediatrics, for most babies it does not matter what the first solid foods are. By tradition, single-grain cereals are usually introduced first. However, there is no medical evidence that introducing solid foods in any particular order has an advantage for your baby. My Favorite Blenders and Food Processors for Making Baby Food, Smoothies and Everything Else. Does Rice Cereal Have to be Baby's First Food?